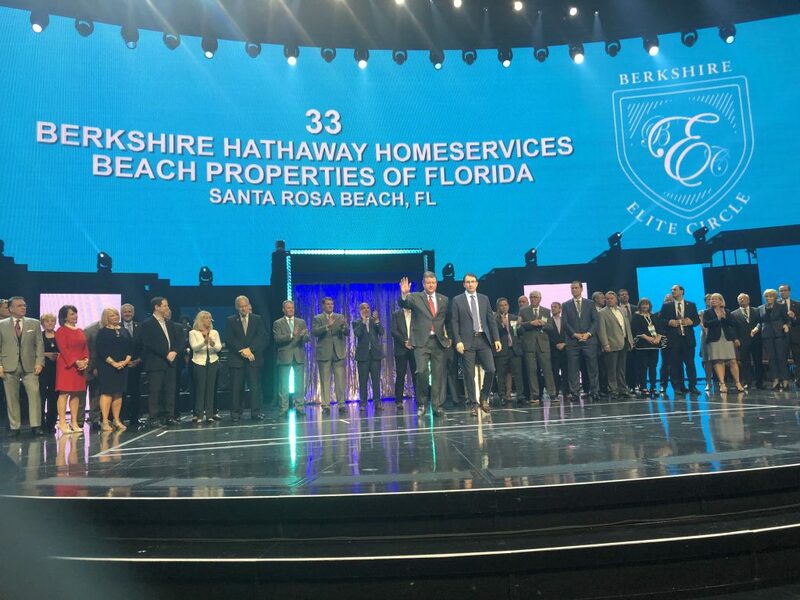 Berkshire Hathaway HomeServices Beach Properties of Florida announced it was recognized with the Berkshire Elite Circle Award as one of the Top 50 companies in the Berkshire Hathaway HomeServices network. The company, which ranked No. 33, was recognized during special awards ceremonies at Berkshire Hathaway HomeServices’ annual Sales Convention in Las Vegas, NV March 10-12. Real estate professionals from across the globe attended the annual business and educational event. “We are thrilled to be recognized among the best companies of the Berkshire Hathaway HomeServices’ network. This prestigious award is a testament to our excellent service and outstanding client satisfaction, as well as earning our place as producers in our industry,” said Hunter Harman, broker/co-owner at Berkshire Hathaway HomeServices Beach Properties of Florida. Berkshire Hathaway HomeServices continues as one of America’s fastest-growing real estate brokerage networks, with nearly 50,000 agents and 1,450+ offices in 47 states and abroad in Berlin, Germany; London, England; Milan, Italy.